Family Circle Magazine published an article titled, “A Mortgage That Pays You,” that summarizes the pros and cons of reverse mortgages, quotes NRMLA President and CEO Peter Bell on the benefits of counseling, and urges readers to visit the consumer site, ReverseMortgage.org. 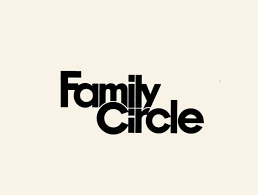 Founded in 1932, Family Circle has a circulation of four million subscribers, predominantly women, who are pre-retirees (median age 50.5) and own a home (76.9 percent). Homeowners who are interested in taking out an FHA-insured reverse mortgage must talk beforehand with an independent housing counselor. “They’re not financial planners; they’re housing counselors. The idea is to help the borrower figure out if a reverse mortgage will work for them,” she quoted NRMLA president and CEO Peter Bell. Chin also recommended to readers that they visit NRMLA’s consumer site, ReverseMortgage.org, to find out how much money they might qualify for and to find a reverse mortgage lender near them.